Why the recent surge of Avant Slot??? 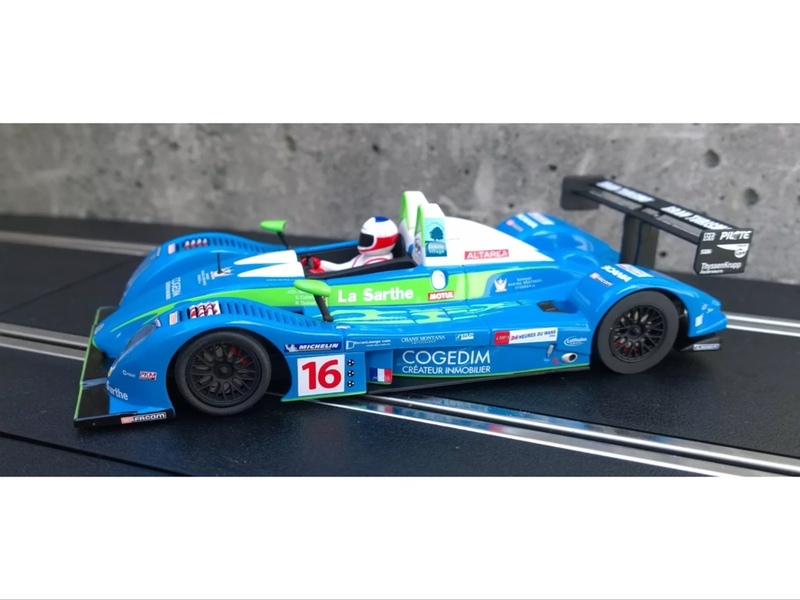 I have noticed lately that there has been a recent flooding of the market of Avant Slot cars. From eBay to site sponsors to online retailers and most recently a slot car show yesterday in my area. Most of these seem to be cars released years ago. I was wondering if someone was sitting on these and decided to flood the market with them or if Avant may have had a surplus they just released??!! It has been several years since I have seem Avant add cars into the market, and quite frankly, I'm glad to see it. I have been a fan of Avant for years, since Racewear did an 8 week series and Alan's support of the product several years ago. But since then the Avant market all but disappeared. I was actually able to pick up the Gulf liveried Mirage that sold out long ago, that I had always wanted. Anyway, its good to see Avant Slot products back in the marketplace again. It is my understanding that AS may have taken MSC as either a take over or merger. They are also providing chassis's for other manufacturers. This may be one of the reasons there name is more to the forefront these days. It certainly dosent hurt my feelings, as they make a decent product. I just got the new Lotus Elise. Great looking livery on it too. I just purchased my first two Avant cars and the rear wheels spin off when at full acceleration. Has anyone else experienced this problem? The seller said use a little super glue. That did not sit well with me. Quality concerns for Avant cars? Last edited by GrizBear; 08-18-2015, 06:12 PM. I had the same issue with my pescarolo also. Aluminium wheels,hard green chassis and motor pod,runs very good now. Don't give up on it,it's a good car in my opinion. As well as owning this Site I also own www.132slotcar.us where I believe you purchase the Avant Slot Cars from. I fully understand your comment regarding pressed on wheels, and lobbied Avant Slot hard for years to look at several features on their line that hurt sales. That said they are great value at $54.99 which was list on the cars you purchase ( production 2010 ) and at the $39.99 price which you purchase them at even better value. Scalextric went to knurled axles because of complaints about wheels coming off, wheels that were round and square on their axles. Now Scalextric wheels are often out of round due to being pressed onto the knurl. Many wish for the pressed on days, also makes it easy to upgrade to better wheels, as the axles were still useable. Avant Slot has now switched to alloy rear wheels but not at $54.99 Retail, and certainly not at $39.99. However we need to explain to Customers what they are buying, so they are well informed, and to avoid potential disappointment with an online purchase. I am sorry you felt our suggestion to glue on the wheels was not a good one, of course you can upgrade to better rear wheels but I understand your feeling. This is the problem with most of the boutique brands from Slot.it to Avant Slot and all the others in between. They need to be set up to run well, need to be set up for the track they will run on, need wheels fitted, chassis adjusted etc. They need special tools which a new racer may not realize is required. upgrade the rear end of your cars. Also their is often a need to fit better tires as the tires supplied may well not work on your track. Again this is part of making a car that can be tuned to many different tracks, it is impossible to supply set up for a track without knowing what track it will be run on. If you are still unhappy with your purchase I will gladly take the cars back, I work hard trying to grow this Hobby and do not want to see unhappy customers. Alternatively you could purchase alloy wheels which we can supply, Depending on the tracks you are running on I can advise which wheels. Again I apologize for your frustration, certainly not what I am trying to do with this fantastic, almost unknown Hobby. Call me anytime to discuss, I am serious about everyone having as good an experience as possible. I bought one of the Mirages and to be honest in stock form the car is not able to make use of the powerful orange motor. The first modification I made after removing the magnets was to add a little weight and change to sponge tires and this made a big difference and now the biggest problem was wheel hop. This was solved by the addition of the Alum. center section and slot it rear to include bushings. Now, two things come to mind, with all the additions to the car it is just a little more than a NSR 917, but it is a faster car in my current state. The Mirage might not be an all out killer racer out of the box but the platform does allow for you to build an out and out rocket ship. I fully agree with the comments about manufacturers fitting plastic wheels, there really is no excuse for it. It is one of my pet hates and it seems to be a case of spoiling the ship for a ha'porth of tar. However, the reply by Scaleracing was, IMHO, a very fair and honest answer and this is the type of retailer that we should be supporting and encouraging. I agree that the orange motor is way too hot for the average home track. Fortunately I have a controller that allows me to adjust the acceleration curve without cutting back much on the top end. I can also reduce the track voltage if I am just running the Avant slot cars. Just got my Repsol Kremer Porsche and it is beautiful. I also noticed that the wheelbase on the Kremer is significantly longer than that on the Mirage which I think makes it corner better. I'm a commercial track owner/operator and I'm spending the morning doing some research and asking questions about hardbody RTR cars. When I first too an interest in slots it was because I saw some Scaletrix cars that I loved. I was disappointed to learn those are considered home track cars for plastic tracks and I've been stocking flexi cars since. But this morning I discovered BRM and Scaleauto. Guess it's been under my nose all along but Im not circulated in those racing circles. I want to bring the more realistic looking cars to my tracks. I own two 8 lane tracks of 135ft and 165ft. I also have a drag strip but that is not affected by this. So if you will, steer me to what cars I should be looking to for competitive racing on tracks where guys are already racing flexi cars at high speeds. I realize hard body is slower but the bar is set high for a quality race experience. I have a BMW plant nearby. I want to tap into that with BMW cars. And this area is flush with muscle cars. Anyway.....can you help me 0B1? One of the guys you would like to contact would be the guys from PhaseII. They have an excellent program when it come to hardbody racing. It's a commercial track and they run 1/32, 1/24. They run no glue on their track which allows them to run rubber, urethane and foam tires. So for your application you will need to run foam tires. 1/32 is not only for home tracks and PhaseII runs them with success at their track. See the link I have attached and reach out to them. Also 1/24 H&R hardbodies are great we race them in NJ at The Race Place a very fun class. There are sections for BRM and Scaleauto on SCI which I try to monitor as often as I can. As no longer Distributing Avant Slot I do not check here so often although I still finance their section on my Forum for now. 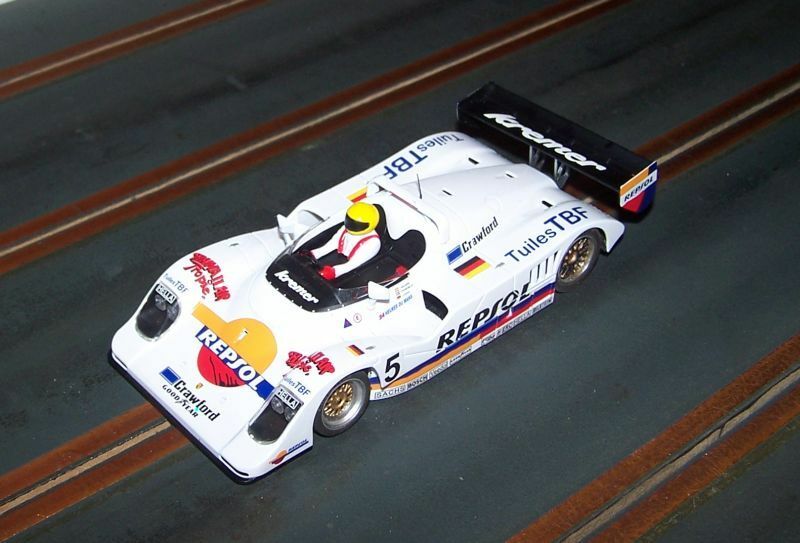 As the Importer of BRM and Scaleauto we are always looking for Tracks to help showcase this part of Slot Car Racing. Anyone interested should contact me directly at [email protected] or call 24/7 1-253-255-1807. Scaleracing is a growth segment within the Model Car Racing hobby and we aggresively support Stores and Tracks interested in our Programs. I'm wondering now about the future of Avant Slot. Nothing new in ages and the wholesale dumping of the Kremer Porsche chassis on ebay leads me to believe they may be shutting down.